I normally do my Dadar food walks in the area around the Sena Bhavan but thanks to the Metro digging and to some of the restaurants changing location due to unrelated redevelopment projects, it took me a bit of time to find the new location of Aaswad. The restaurant is now temporarily located down the road ahead of the 'new' Prakash and is opposite the Amar Hind Mahal. The entry to the main road from Bandra down the Sena Bhavan was shut and my Uber driver and I used Google maps and directions given by bystanders to reach the new Aaswad which looks brighter and bigger than the earlier premises, continues to remain air-conditioned and has a party hall too now AND a clean toilet unlike earlier when it had none for guests. I ordered my usual favourites at Aaswad. The misal at Aaswad, which I had once nominated for the Foodie Hub Foodie Awards, and which went on to win the best vegetarian dish in the world category, of course. I also called for the thali peeth here which I am quite fond of. The manager suggested that we order the besan (gram flour) and finely chopped coriander leaf based kothimbir vadi. All of which were quite enjoyed by our guests from Canada who also tried local drinks such as sol kadi, piyush and kokum sherbat. 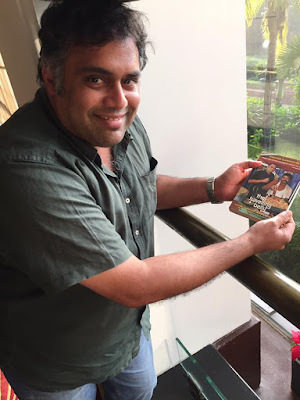 We met Suryakant Sarjoshi at Aaswad that evening. His father had started the restaurant in 1986 and has now handed over the reins to Suryakant who has organically grown the business since then. He has taken some interesting steps such as taking the Aaswad Marathi food offer out of the traditional Maharashtrian heartland of Dadar to places such as the more Gujarati dominated Ghatkopar suburb of Mumbai and then tapped a completely new audience by setting up a counter at Terminal T2 of the Mumbai Airport to offer Maharashtrian food. He has expanded the core menu at Aaswad of late. Many of the new introductions came after experiments and trials by his wife, Smita Sarjoshi, in their home kitchen. At times innovations in food is about taking it to new audiences by taking it to their home and adopting it to their tastes and that's what the Sarjoshis are doing. Don't forget that they were one of the first to offer Maharashtrian vegetarian food in an air-conditioned environment, thereby acknowledging the changing tastes and demands of modern Mumbaikars. One such introduction was the Sankrant thali which Suryakant said we should try. This had dishes which are apparently made in Maharashtrian homes during the Sankrant festival, which was observed on 14th January, and is on offer at the restaurant right now. On the plate was a deliciously piquant, non-runny, and very flavourful moong dal and rice khichdi and a soulful dahi kadi to go with it and papad too. There was a jowar (millet) bhakri and a robust coconut based curry called bhogi chi bhaji made with seasonal vegetables such as tur beans and carrots and brinjal. There was the light Maharashtrian favourite salad, koshimbir, made with freshly carrots and sesame seeds this time and a chubby pancake like dessert called satori which was stuffed with a filling of jaggery and sesame (til). Til is the ingredient of choice for Sankranti among Maharashtrians after all. I took a bite of the ice cream at Aaswad and nodded in approval as I got the taste of the same tilgul in every creamy bite of the ice cream. The tilgul flavours had been blended into a milk cream based ice cream and the graininess of the original didn't adversely impact the creamy texture of the ice cream. 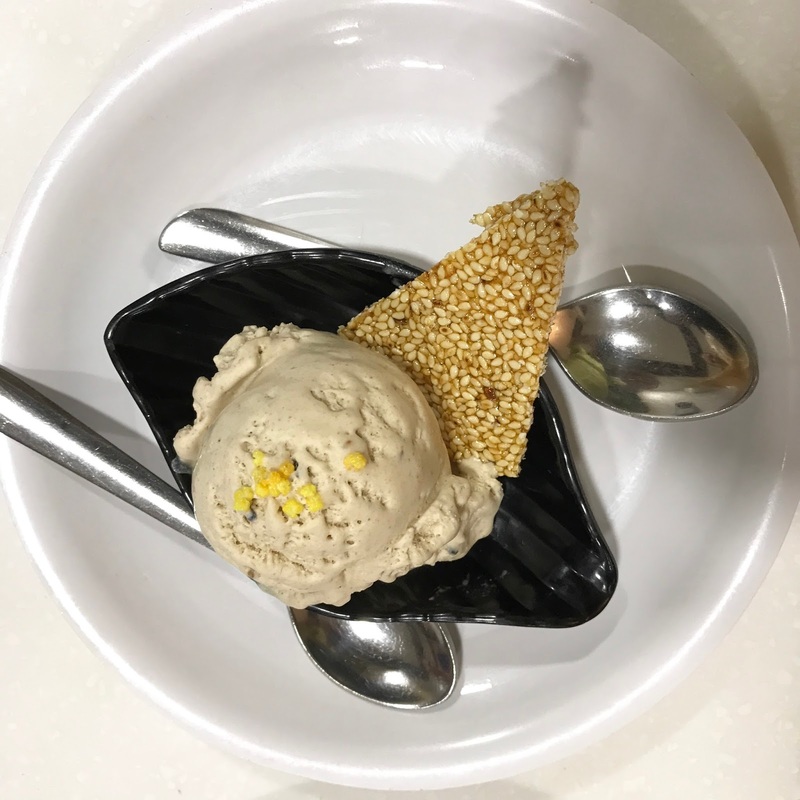 My foreign guests caught on to the flavour and took to it immediately as they could recognise the sesame flavours in it. The ice cream innovations at Aaswad were his wife Smita Sarjoshi's said Suryakant. I then remembered that they had introduced a puran poli ice cream recently and decided to try that as well. Puran poli is another Maharashtrian/ Konkani dessert (the Mangaloreans from the Konkan belt have it too) which is consumed during festivals. 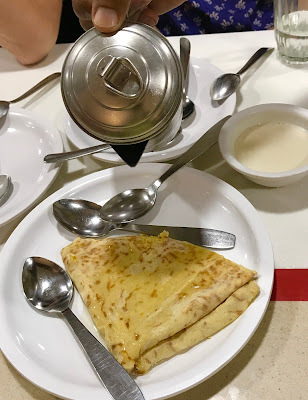 The puran poli is like a light and flimsy chapati which is stuffed with a sweetened mix of mashed Bengal gram, jaggery and cardamom which is mixed and cooked together first before being mashed. Some add a bit of saffron to the mix too. I got a prominent taste of the puran poli filling the moment I took a bite of the ice cream. To give context to our guests, I made them have an actual puran poli doused with hot toop (ghee), which one dunked into hot milk and ate. They could immediately make the connection between the two after that. We then stepped out of Aaswad and went to a few more stops during our Dadar Finely Chopped Food Walk. As we did so, I realised that this phenomenon of innovation was not new to Maharashtrian food. Nor was some of the buzz words that we hear of today such as 'eat local', 'reduce the carbon footprint' or 'eat seasonal' or 'reduce waste'. Not just Maharashtrian food, but all Indian food, have displayed these values for centuries. It's just that we never thought of our food that way. Perhaps we found it to be too plebeian or run of the mill to appreciate it. 'Ghar ka murga dal barabar,' (familiarity breeds contempt) as the saying goes. Let me give you some more examples from some very day to day dishes that we had at the Maharashtrian restaurants of Dadar to make my point. We stopped at Prakash, a restaurant which is much older than Aaswad, and is a local favourite too. We had to queue up for a table. Prakash, like Aaswad operates out of a temporary setting these days as the building where it was located has gone into redevelopment too. Unlike Aaswad, there's no air-conditioning, bright lights, fake flowers or clean toilet, here. The 'ambiance', or mood, here is created by the waiters, who have been working here for years, you could say and and who make the place feel so familiar to regulars. This is the sort of place where you wait for your turn, get a place to sit, order, eat and move on. To some this might seem as rude or brusque but in reality it speaks of practicality of feeding many and of thereby keeping prices low. I have never been hurried here though I am not a regular or a known face. From the content looks of those eating around me, it was obvious that no one felt unwelcome here. Funnily enough, despite its lack of frills, Prakash is a happy place and it is the honesty of the food served here that has made it so in my opinion. I ordered the puri with sukha potato bhaaji that I dote on at Prakash. When alone, I order a plate and tell myself that I'll have a couple of deep fried puris and move on without having them all. When I leave though, the plate is empty! is photographed badly by 'those Indians'. I ordered sabudana vada (made with sago beans and peanuts) at Prakash. To show the sense of distinctiveness and individuality that lies in Indian kitchens, I ordered the misal to which tastes slightly different here from what you get at Aswad and both have their set of fans. 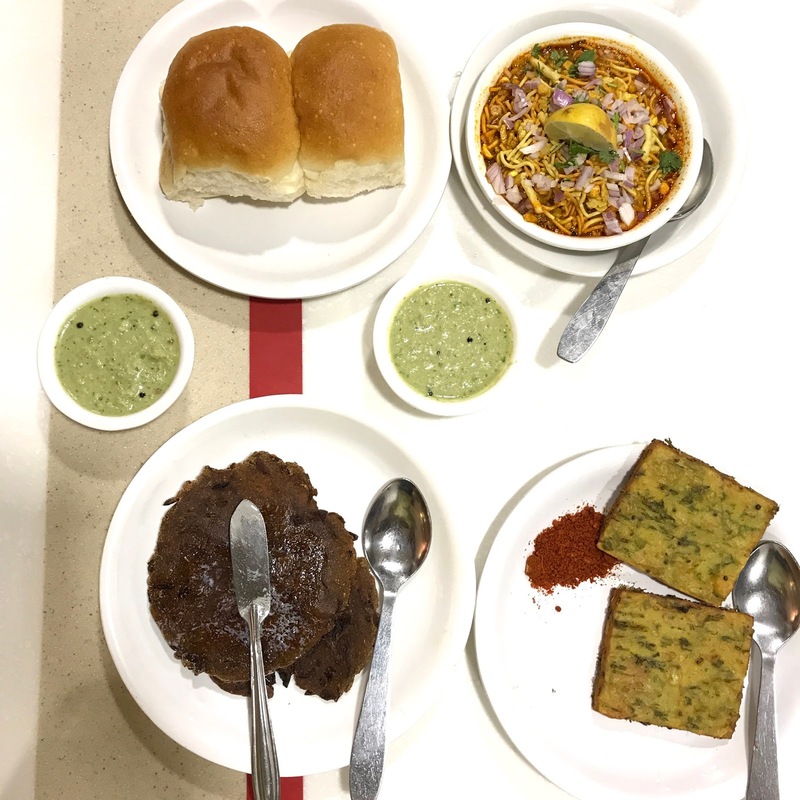 They don't serve pav with misal at Prakash as misal was served sans pav in Maharashtrian homes in an earlier time when pav was looked upon with suspicion as they were made in bakeries run by non Hindus from what I am given to understand. Those days are largely gone thankfully and Mumbai today is a city served happily sandwiched in the pav. I asked for a pohe and the waiter told me that the vangi pohe was available that evening as it was a Sunday. I got really excited to hear this. Food writer Saee Koranne Khandekar had mentioned this dish to me while I was researching for a story on Konkani food. She told me that Prakash offers this dish only in Sundays and that at times she travels all the way from Thane for this childhood favourite of hers. In this dish, pieces of brinjal (vangi) pieces are added to pohe (rice flakes) while cooking the dish. The brinjal disintegrates and blends into the pohe. We noticed that it added a lovely moistness, but not sogginess, to the texture pohe and a certain robustness and depth to the taste which made the dish stand out from the usual. Now, wouldn't adding vangi (brinjal) to pohe have once been considered an innovation just as the tilgul ice cream is today? Or for that matter, wouldn't the restaurant version of the multi grain pancake, the thali peeth be considered an innovation? 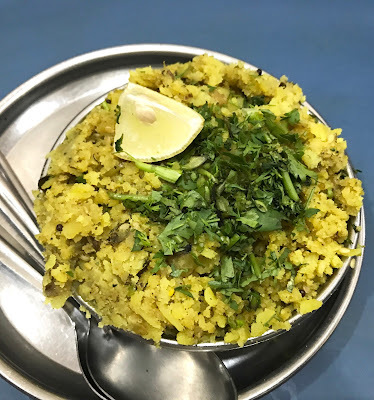 The thali peeth, made with a mixture of pulses and grains and millets, is shallow fried and served in all Maharashtrian restaurants that I have been. Yet, it is a dish which is toasted on tavas by Maharashtrian grannies at home and not fried. Traditionalists who are passionate about their food, would argue, justifiably, that what is served in a restaurant is not a thali peeth. When I put this question to restaurant owners, they tell me that shallow frying is their only option given fast turnaround requirements and the rudimentary kitchen conditions that they operate within. As a dispassionate observer and a non-Maharashtrian, I'd say that this is how cuisines evolve and adopt with the times but I do understand that one holds strong feelings about the food one has grown up with so the path to 'innovation' in food can be a slippery one at times and I can understand the angst that my Maharashtrian writer friends such as Saee Koranne Khandekar and Shakti Salgaonkar Yezdani feel about being served fried thali peeths in restaurants which are so different from the ones lovingly and meticulously toasted on a tava and served to them by their mothers and grandmothers in their kitchens. I will leave the last word on this though to Tejas Sovani, the chef at Amaranta at The Oberoi Gurgaon, who is Maharashtrian too. His mother makes him his favourite thali peeths still when he visits her in Pune. The shallow fried ones and not the toasted ones. 'Fried is tastier,' said the world travelled and talented chef, looking every bit an impish schoolboy once again. Food is all about memories after all and each person's memories are unique to them. Parking this thought of innovation, we walked down to Rahul Limaye's Gypsy Corner restaurant located diagonally opposite the Sena Bhavan. Maharashtrian friends of mine have told methat they come here on Sundays to have traditional Maharashtrian dishes, that they no longer make at home, with their families. The queue to get in showed that what they had said was indeed a practise followed by many at Gypsy Corner. We finally got a seat by the pavement and settled down and ordered a vatana chi (green peas) pattice which is my favourite dish at Gypsy Corner. A mashed potato encased deep fried croquette, mildly kissed with strands of grated fresh coconut that permeate it and with a robust, whole green fresh pea filling inside , which tastes epiphanic and very indulgent. Green peas are in season now and I think that this added to the panache of the dish that we had on Sunday. 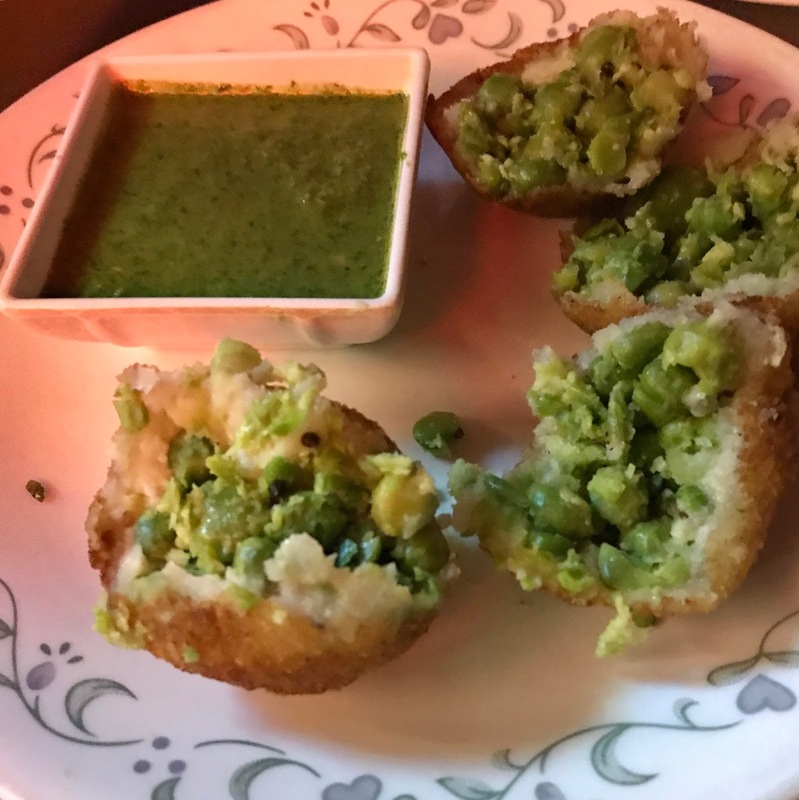 I ordered another dish at Gypsy which wass a complete contrast to the flavour- punch packed green peas pattice and the batata vada that we had here. I am talking of the zunka bhakar. 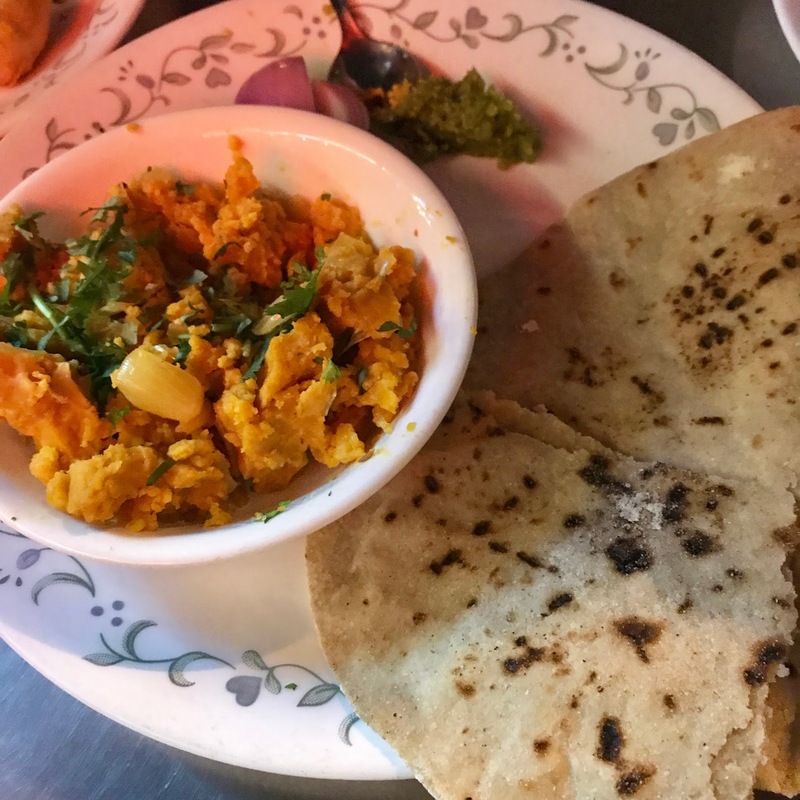 The bhakar bhakri is a flat roti-like bread made with jowar (millet) flour and which is served the zunka, a mashed besan/ gram flour side (the zunka) and a pounded fresh green chilli thecha and a slice of raw red onion. This dish, in contrast to the very hedonistic pattice, tasted earthy and rustic and yet filling and hearty too This is food meant to sustain one rather than tickle ones fancy. Jowar, a type of millet, which is used for making the bhakri, grows in drought prone regions where water is at a premium. There is very little greenery or vegetation here and hence the gram flour based side dish, zunka, is used to give energy and to make meal complete instead of a vegetable sabzi. The chillies and onion served with the zunka bhakar are both known to help the body to counter extreme heat and dry temperatures. 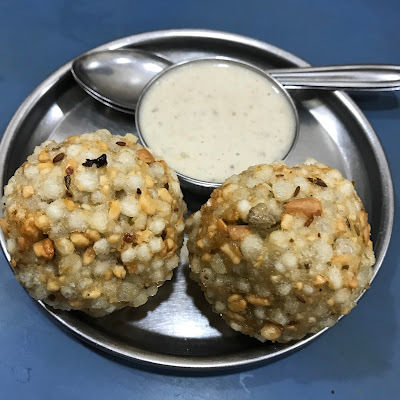 Therefore the humble zunka bhakar is an inspired example of native wisdom and intuition being used to come up with food which keeps one going in parts where the weather is not kind and sustains those who are not too well off either. 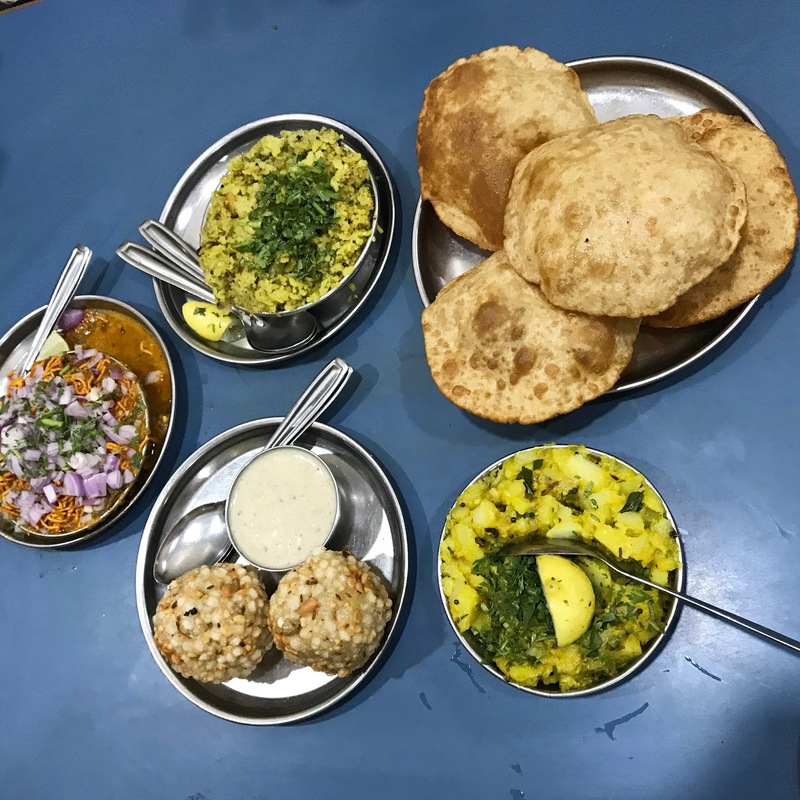 'Eat local' was the guiding philosophy of of the food at our last stop, Purepur Kolhapur near the Portuguese Church, which we cabbed our way to from Gypsy. My guests from Canada had just spent two weeks on the Malvan coast and were not keen on Maharashtrian coastal food during the walk. So I took them to Purepur Kolhapur where you get food from landlocked Kolhapur instead. Unlike in the coastal food served in the local Malvani restaurants, no coconut features in the food in Kolhapur. The original menu of Kohapur is goat meat dominated and does not feature seafood and even comes with two delightfully meaty broths, the white coloured pandara rassa and the more peppery, copper coloured, tambara rassa. Keeping commercial viability in mind, the restaurant in Mumbai offers chicken and seafood too. So if you thought the Maharashtrian food was all about vada pav, then think again. 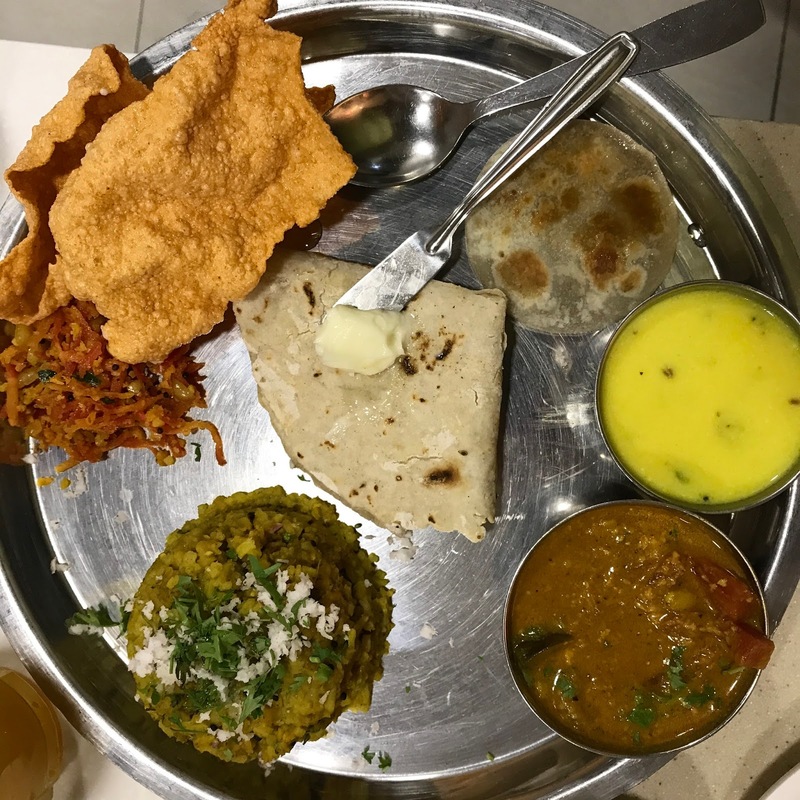 There is a a lot of native ingenuity and individuality in the food here and one has just scratched the surface of it by going to a few restaurants in one locality in Mumbai the other evening. Now imagine just how much more there is to discover if one is to willing to go out and seek out the magic behind its cuisine and that's just Maharashtra. If one state can offer so much, then think about how much the whole of India has waiting for us to discover. That's what an evolving cuisine is all about. What a living cuisine is all about. What Indian food is all about and this story is best told in its unsung bylanes as we saw in Dadar last Sunday. 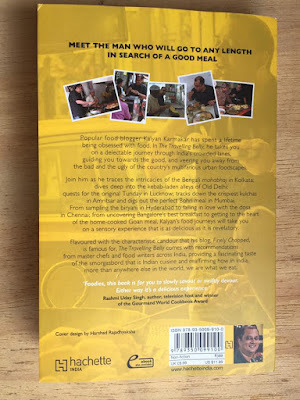 I conduct bespoke food walks in Mumbai. 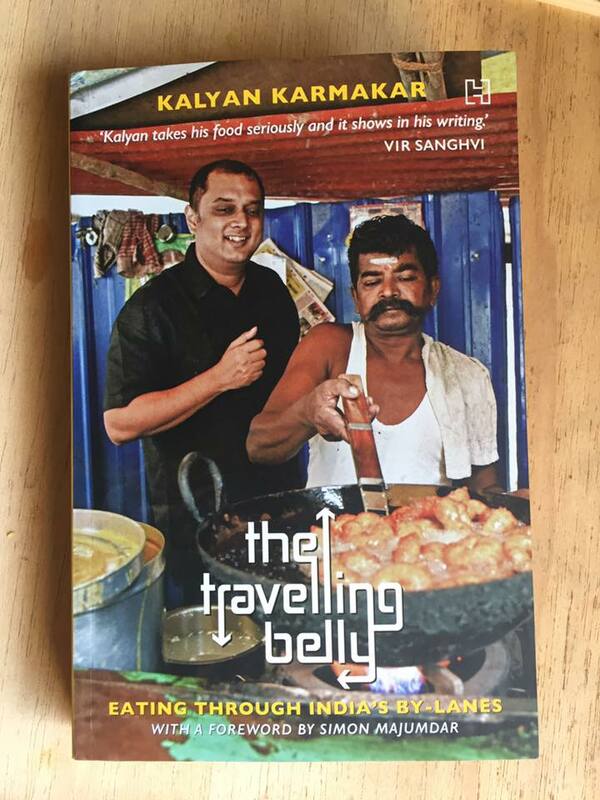 If interested please write to me at kalyan@finelychopped.net for me to work out something for you.